American Pickers Discovered Aerosmith’s International Metro Tour Van! American Pickers hosts Mike Wolfe and Frank Fritz scored the haul of a lifetime when they stumbled onto the original tour van of American rock band Aerosmith. 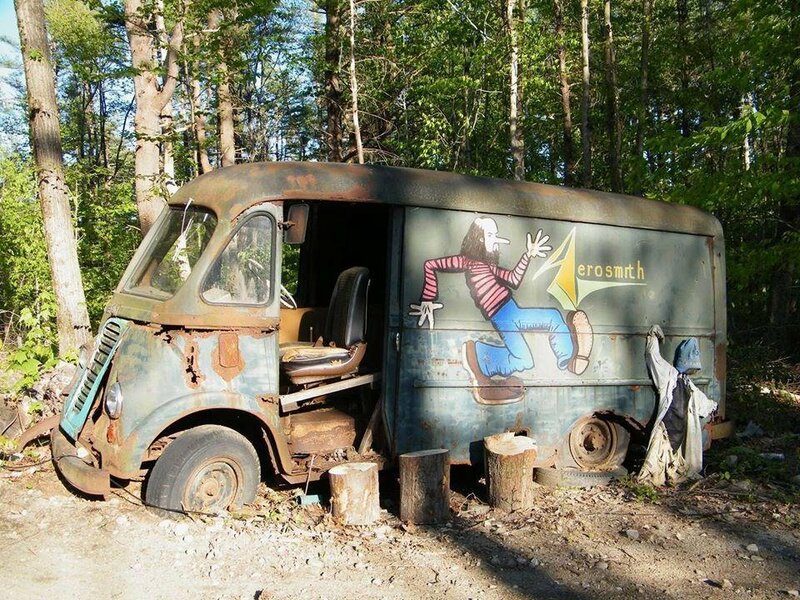 The van in question is a 1964 International Harvester Metro Van, and apparently, it’s been sitting and rotting on a piece of property near the town of Chesterfield in western Massachusetts all these years. The van is completely authentic as Aerosmith founding member Ray Tabano confirmed after visiting the property himself during the same episode of the History Channel show.